The 23-year-old expert Marcus Hutchins pleaded “not guilty” during a court hearing in Milwaukee, Wisconsin. His trial has been scheduled for October. Yesterday, Marcus Hutchins, the WannaCry hero, has pleaded not guilty to charges of creating and selling malware at a hearing in Milwaukee, Wisconsin. The court decided to relax the expert bail terms, allowing him to access the Internet and continues his ordinary working activities. The only restrictions on Hutchins is that the expert cannot visit the Wannacry server domain. i'm still on trial, still not allowed to go home, still on house arrest; but now i am allowed online. Will get my computers back soon. The decision is unusual because computer crime suspects are not allowed to stay online. The court allowed him to live in Los Angeles, where the company that hired him is located, but he is obliged to surrender his passport and he must wear a tracking device until his trial in October. 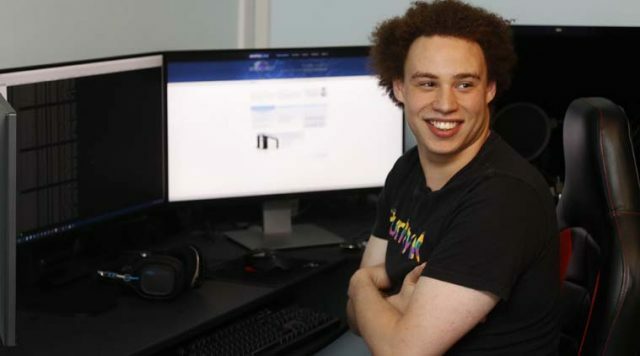 Marcus Hutchins, also known as MalwareTech, is a 22-year-old security expert who made the headlines after discovering the “kill switch” that halted the outbreak of the WannaCry ransomware. Marcus Hutchins has been arrested in in Las Vegas after attending the Def Con hacking conference and was detained by the FBI in the state of Nevada. The British security researcher was arrested on Thursday after being indicted on charges of creating the Kronos banking malware. A second defendant whom identity was not revealed appears to be involved. According to the investigators, Marcus Hutchins created the malware and shared it online, below the indictment issued by Eastern District of Wisconsin. The prosecutors believe Hutchins created, shared, and masterminded the Kronos banking Trojan between July 2014 and July 2015. “We are very pleased today that the court modified his terms to allow him to return to his important work,” said Hutchins lawyer Brian Klein, partner at Baker Marquart LLP.